"Goal is to have impact: Change way people do Computer Science & Engineering. (...) Do “Real Stuff”: make sure you are solving some problem that someone cares about. (...) Faculty real legacy is people, not paper: create environments that develop professionals of whom you are proud." David Patterson (1947), Key Advice on Alternatives to a Bad Career, Post Ph.D., in How to Have a Bad Career in Research/Academia, 2002. Eugénio José Manuel (September 2016-present), recipient of a doctoral fellowship from National Institute of Management of Scholarships of the Republic of Angola. Research Topic: Fog Computing for Support to Cloud Services in Developing Countries: The Case of Angola. PhD in Computer Science and Engineering, UBI, in progress. André Filipe Prata Ferreira (September 2014-present), engineer at PT Portugal. Research Topic: Malware Detection in Android Platforms Using Behaviour Analysis. 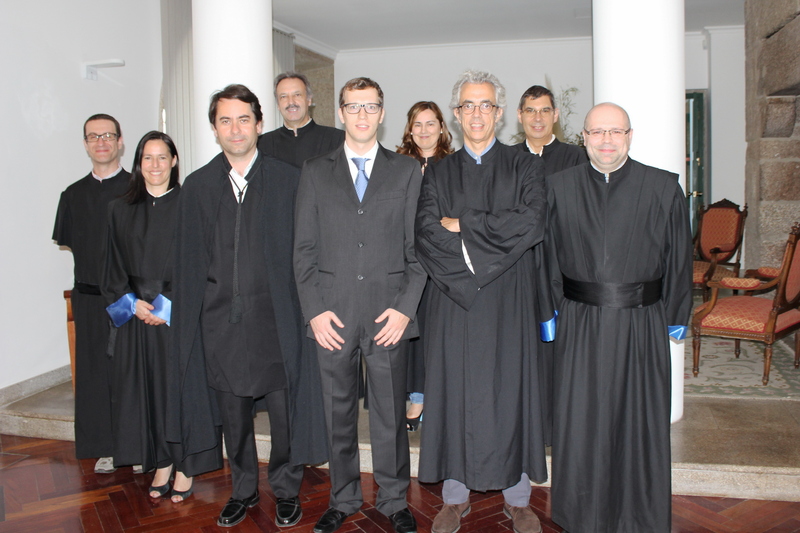 Vinícius de Miranda Rios (March 2014-present), recipient of a three-year doctoral fellowship from the Brazilian funding agency CAPES, started as a professor at Instituto Federal de Educação, Ciência e Tecnologia do Tocantins, Brazil in 2015. Research Topic: Detection of Advanced Distributed Denial of Service Attacks Using Behavioral Approaches Based on Entropy and Multifractal Analysis. 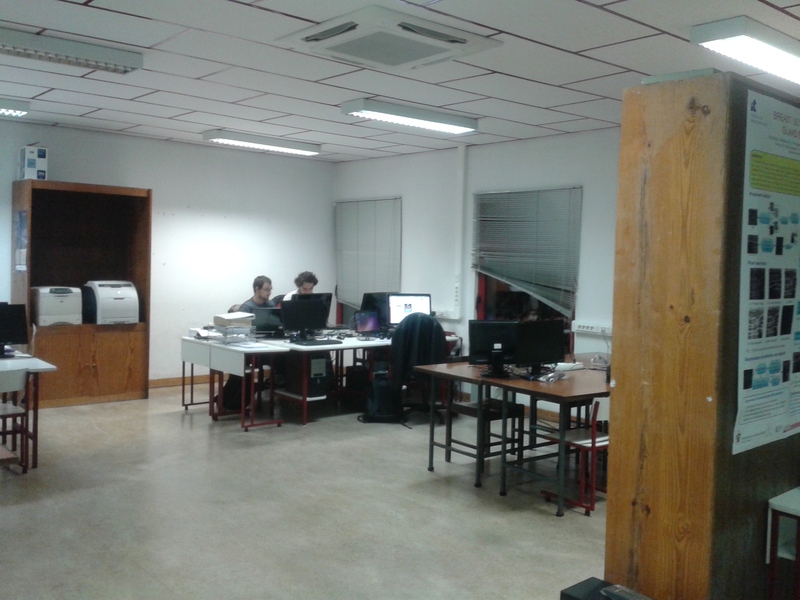 PhD in Computer Science and Engineering, UBI, in progress (Co-advised with Dr. Damien Magoni, University of Bordeaux, France). Vanice Canuto Cunha (March 2014-present), recipient of a three-year doctoral fellowship from the Brazilian funding agency CAPES, started as a teaching assistant at Federal University of Mato Grosso, Brazil in 2016. Research Topic: Timely Classification of Encrypted or Protocol-Obfuscated Internet Traffic Using Multifractal Analysis. Manoel Campos da Silva Filho (April 2014-present), recipient of a three-year doctoral fellowship from the Brazilian funding agency CAPES, professor at Instituto Federal de Educação, Ciência e Tecnologia do Tocantins, Brazil. Research Topic: Reducing Virtual Machine Live Migrations in Cloud Environments Using Hybrid and Decentralized Algorithms for Virtual Machine Placement. PhD in Computer Science and Engineering, UBI, in progress (Co-advised with Dr. Claudio de Castro Monteiro, Instituto Federal de Educação, Ciência e Tecnologia do Tocantins, Brazil). 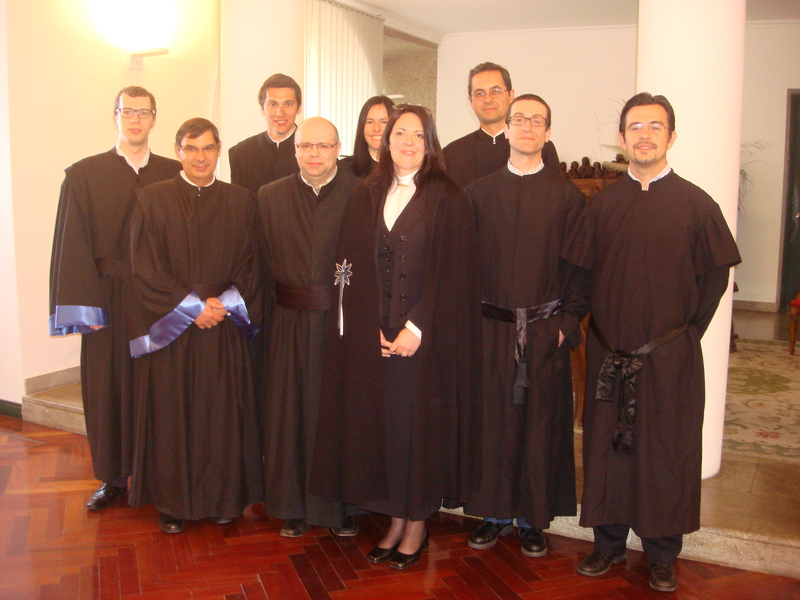 Ângela Cristina Marques de Oliveira (September 2010-May 2015), teaching assistant at Polytechnic Institute of Castelo Branco, Portugal, promoted to assistant professor of computer science at this institute in June 2015. Thesis: "Automatic Quantification and Classification of Breast Density in 2D Ultrasound Images". 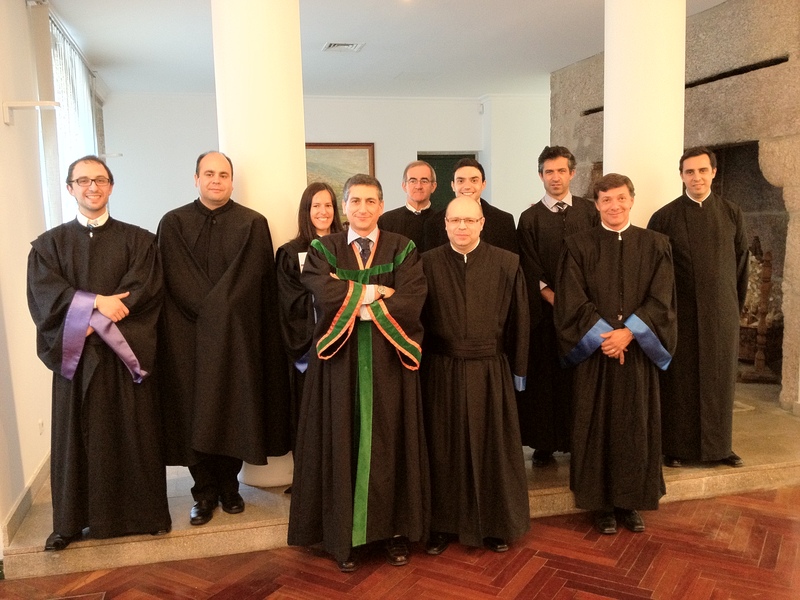 PhD in Computer Science and Engineering, UBI, May 18, 2015 (Co-advised with Dr. José Alberto Fonseca Moutinho, Faculty of Health Sciences, UBI). Filipe Cruz Gomes Soares (September 2007-July 2014), recipient of a four-year doctoral fellowship in industry jointly from the Portuguese Science and Technology Foundation and Siemens SA Healthcare Sector and further reseacher in Siemens SA Healthcare Sector, joined Nokia Siemens Networks in April 2013 and its successor company Coriant, which emerged from a part of Nokia Siemens Networks, before joining Fraunhofer Portugal in December 2013, where he is now a senior researcher. Thesis: "Computer-Aided Detection and Diagnosis of Breast Cancer in 2D and 3D Medical Imaging Through Multifractal Analysis". PhD in Computer Science and Engineering, UBI, July 23, 2014 (Co-advised with eng. João Seabra, Siemens SA Healthcare Sector). Project winner of the Siemens Innovation Award 2012. Graduation Photo with the Adviser. João Vasco Paulo Gomes (September 2007-July 2012), recipient of a two-year doctoral fellowship in industry jointly from the Portuguese Science and Technology Foundation and Nokia Siemens Networks and a two-year doctoral fellowship from the Portuguese Science and Technology Foundation, recipient of a research fellowship whithin Strategic Project - LA 8 - 2011-2012 at Instituto de Telecomunicações in January 2012, started as invited assistant professor at University of Beira Interior in October 2012 before joining Danske Commodities (Denmark) in September 2013. Now he is a software engineer at SimCorp (Denmark) since June 2016. Thesis: "Classification of Peer-to-Peer Traffic by Exploring the Heterogeneity of Traffic Features Through Entropy". PhD in Computer Science and Engineering, UBI, July 16, 2012 (Co-advised with Dr. Paulo Monteiro, Nokia Siemens Networks). Thesis nominated for the 2012 ACM Doctoral Dissertation Award. Graduation Photo with the Adviser. Pedro Ricardo Morais Inácio (September 2005-December 2009), recipient of a four-year doctoral fellowship in industry jointly from the Portuguese Science and Technology Foundation and Nokia Siemens Networks, started as invited assistant professor at University of Beira Interior in February 2010 before joining it as an assistant professor of computer science in October 2012. Thesis: "Study of the Impact of Intensive Attacks on the Self-Similarity Degree of the Network Traffic in Intra-Domain Aggregation Points". 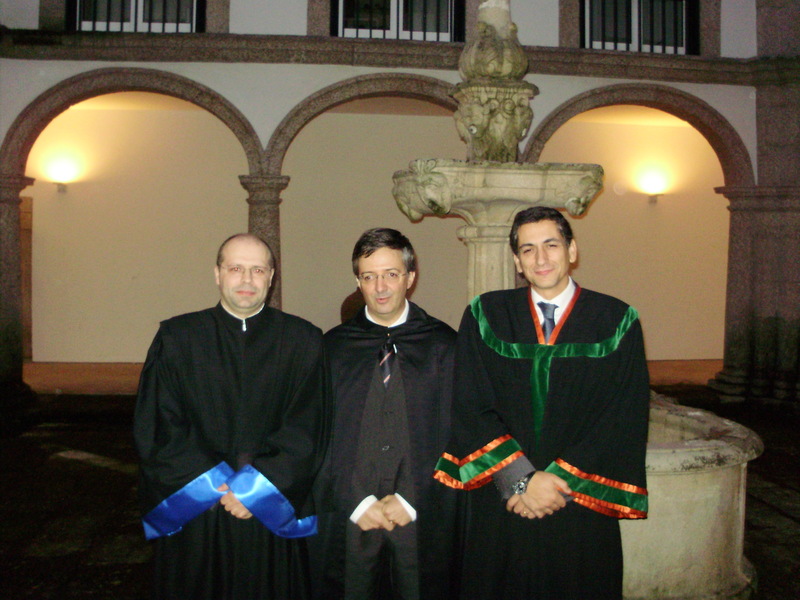 PhD in Computer Science and Engineering, UBI, December 17, 2009 (Co-advised with Dr. Paulo Monteiro, Nokia Siemens Networks). Pedro Inácio was the recipient of the Inventor of the Year 2007 Award of Nokia Siemens Networks Portugal. Nuno Manuel Garcia dos Santos (September 2004-November 2008), recipient of a four-year doctoral fellowship in industry jointly from the Portuguese Science and Technology Foundation and Nokia Siemens Networks, joined Plux – Biosignal Engineering as a head of research in the Summer of 2008 up to April 2010, joined Lusophone University of Humanities and Technologies in March 2009, started as invited assistant professor at University of Beira Interior in February 2010 before joining it as an assistant professor of computer science in October 2012. Thesis: "Architectures and Algorithms for IPv4/IPv6-Compliant Optical Burst Switching Networks". 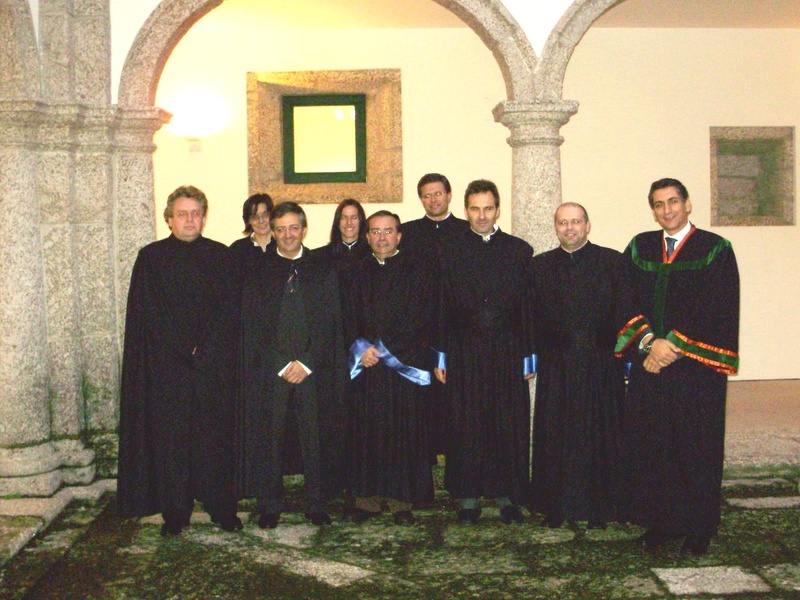 PhD in Computer Science and Engineering, UBI, November 7, 2008 (Co-advised with Dr. Paulo Monteiro, Nokia Siemens Networks). Nuno Garcia was co-winner of the Siemens Innovation and Excellence 2005 R&D Award. Graduation Photo with the Advisers. Joel José Puga Coelho Rodrigues (September 2002-July 2006), teaching assistant at University of Beira Interior, promoted to assistant professor of computer science at this university in July 2006. Now he is a professor at National Institute of Telecommunications - Inatel, Brazil, since September 2016. Thesis: "Performance Assessment of One-way Resource Reservation Protocols for IP Over Optical Burst Switched Networks". PhD in Computer Science and Engineering, UBI, July 25, 2006. Evaldo dos Prazeres Saraiva Chindele (September 2017-present), lecturer at Independent University of Angola (Lubango). Research Topic: Compromisso entre Desempenho e Segurança na Utilização de Máquinas Virtuais Versus Máquinas Virtuais Blindadas em Infraestruturas Virtualizadas de Elevada Disponibilidade. MS in Computer Science and Engineering, UBI, in progress. André Filipe Castro Louro (September 2017-present). Research Topic: Comparação de Infraestruturas Virtualizadas de Elevada Disponibilidade Usando Hypervisors Nativos Versus Containers. Ricardo Costa Oliveira (September 2017-present). Research Topic: Proteção Contra Ataques de Low-rate Distributed Denial of Service a Serviços Cloud. Luzimira de Abreu Ribeiro (September 2017-present). Research Topic: Gestão de Recursos de Plataforma e Infraestrutura em OpenStack. Isabel Soqui Bongo (September 2017-present), lecturer at Ministry of Education, Angola. Research Topic: Deteção de Ataques to Tipo Low-rate Distributed Denial of Service Usando a Divergência de Kullback-Leibler. Bruno Carneiro da Silva (September 2017-present). Research Topic: Protection Against Low-Rate Distributed Denial of Service Attacks for Platform-as-a-Service. Raysa da Luz Oliveira (September 2016-July 2017). Dissertation: "Alocação de Máquinas Virtuais em Ambientes de Computação em Nuvem Baseada em Requisitos de Service Level Agreement" (Allocation of Virtual Machines in Cloud Computing Environments Based on Requirements of Service Level Agreement). MS in Computer Science and Engineering, UBI, July 20, 2017. 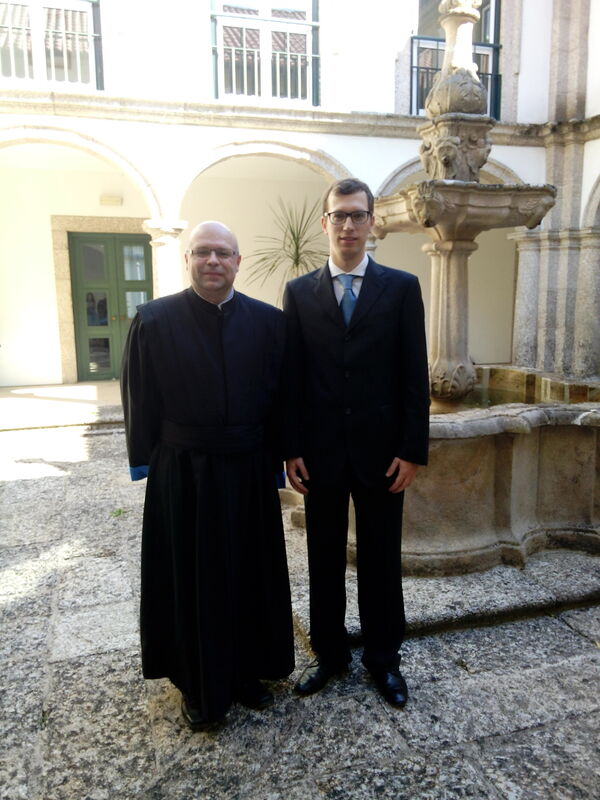 André Filipe Prata Ferreira (September 2012-December 2013), recipient of a research grant from University of Beira Interior, started a post-graduation program in ICT for Cloud & Datacenter in fall 2013. Now he is an engineer at Portugal Telecom. Dissertation: "Secure and Efficient Storage of Multimedia Content in Public Cloud Environments Using Joint Compression and Encription"
MS in Computer Science and Engineering, UBI, December 18, 2013. Nuno Ricardo da Conceição Rosa Marques (September 2011-November 2012), technical staff of the Center for Computer Science at University of Beira Interior, started at Winprovit in November 2013 as a network data center operation manager at Portugal Telecom, before joining Portugal Telecom in October 2014 as a senior network & security data center administrator. Dissertation: "Estudo de Convergência do Protocolo Open Shortest Path First Numa Rede Institucional Usando o Cisco Packet Tracer" (Convergence Study of the Open Shortest Path First Protocol in an Institutional Network Using the Cisco Packet Tracer). MS in Computer Science and Engineering, UBI, November 7, 2012. 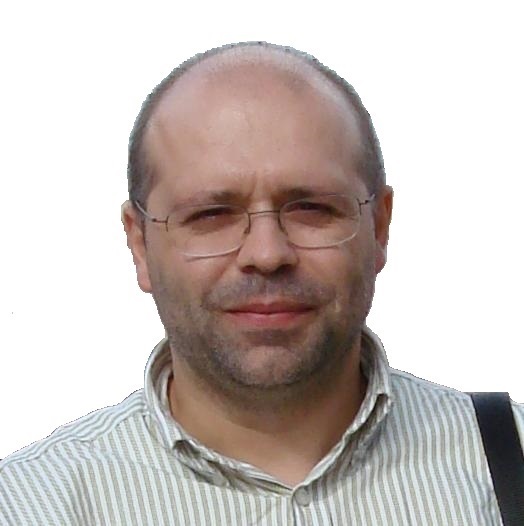 André Filipe Ferreira Esteves (September 2010-December 2011), recipient of a research grant from the TRAMANET project before joining TIMwe as a software developer in May 2011. He is a lead software developer since September 2014 and CTO/Director since March 2016 at Flo-culture (United Kingdom). Dissertation: "Detection of Encrypted Traffic Generated by Peer-to-Peer Live Streaming Applications Using Deep Packet Inspection". MS in Computer Science and Engineering, UBI, December 12, 2011. 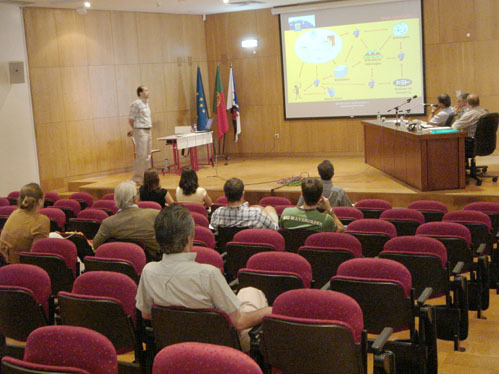 Rui Pedro Quaresma Brás (September 2009-July 2010), recipient of a research grant from Instituto de Telecomunicações, started PhD program at UBI in fall 2010. Dissertation: "An Object-Oriented Architecture for Transmission Simulation of Image and Video with Multiple Description Coding Over High-Speed Optical Fibre Channels". MS in Computer Science and Engineering, UBI, July 28, 2010 (Co-advised with Dr. Manuela Pereira, UBI). Fábio Duarte Beirão (September 2009-July 2010), recipient of a research grant from the TRAMANET project, started at isAgile in October 2010, before joining TFV - Sistemas Informáticos in January 2012 as a software architect. Now he is a medium software developer at Coolblue (Netherlands) since January 2016. Dissertation: "NetOdyssey: A Framework for Real-Time Windowed Analysis of Network Traffic". MS in Computer Science and Engineering, UBI, July 22, 2010. 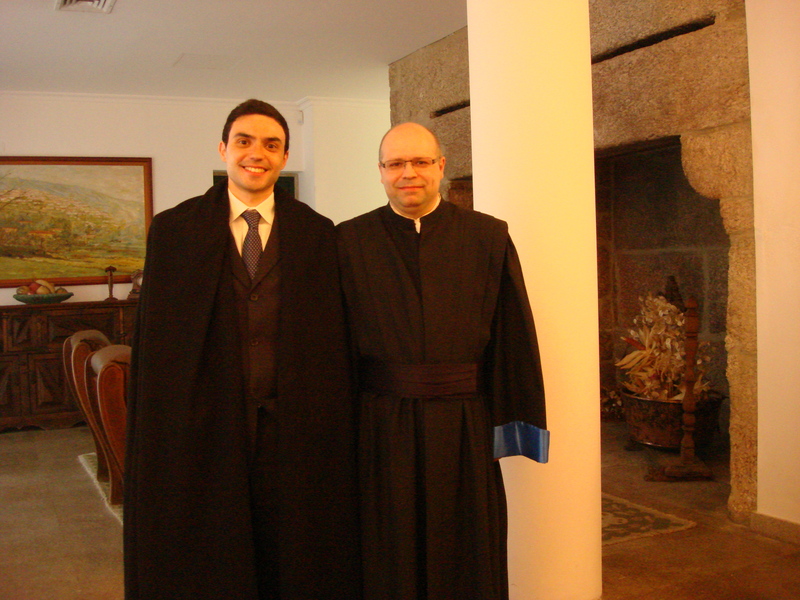 Fábio Beirão was the winner of the Best 2010 MS Student Award. Marisa Raposo Quaresma (September 2008-December 2009), recipient of a research grant from the TRAMANET project, started at Roff as a SAP ABAP consultant in April 2009 before joining Altran Portugal in June 2013 as a senior consultant. Now she is a senior SAP technical developer at Johnson Matthey (United Kingdom) since August 2014. Dissertation: "Multiple Description Image and Video Coding for P2P Transmissions". MS in Computer Science and Engineering, UBI, December 9, 2009 (Principal adviser: Dr. Manuela Pereira, UBI). 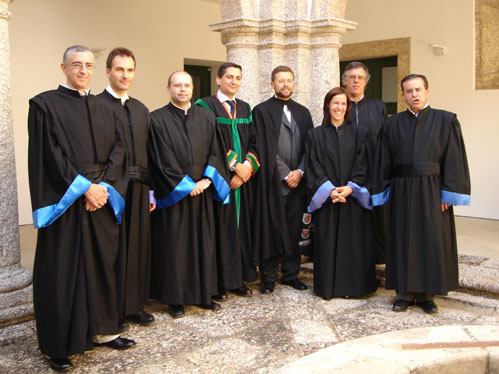 David Alexandre Milheiro Carvalho (September 2008-October 2009), technical staff of computer science at University of Beira Interior. Dissertation: "Towards the Detection of Encrypted Peer-to-Peer File Sharing Traffic and Peer-to-Peer TV Traffic Using Deep Packet Inspection Methods". MS in Information Systems and Technologies, UBI, October 22, 2009. 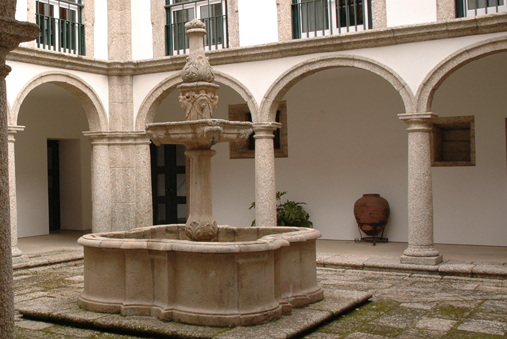 Rui Alexandre da Rocha Gonçalves Pereira (September 2004-July 2006), teaching assistant at University of Beira Interior, joined High School of Castelo de Paiva as a teacher in September 2006. Dissertation: "Editor para a Web Semântica Integrando Anotações Semânticas, Ontologias e RDF" (Editor for Semantic Web Integrating Semantic Annotations, Ontologies and RDF). MS in Computer Science and Engineering, UBI, July 26, 2006. “One of the problems of being a pioneer is you always make mistakes and I never, never want to be a pioneer. It’s always best to come second when you can look at the mistakes the pioneers made”. Seymour Cray (1925-1996), Public Lecture at Lawrence Livermore Laboratories on the introduction of the CRAY-1, 1976.